His statement: ‘I am an Australian first, and a South Australian afterwards’,was at the heart of John Wallace Shannon’s political philosophy. Born at Moculta, South Australia, on 28 April 1862, son of Abraham Shannon, farmer, and Eliza, née Mahood, Shannon was to rise to a position of eminence as a farmer, businessman and state politician before entering the Senate. Educated at Angaston, Shannon took up farming first on the Murray Flats and afterwards at Maitland on the Yorke Peninsula, where he also engaged in auctioneering. In both pursuits, he was highly successful, becoming one of the most influential men in the district. Shannon was a big man, standing 6 feet 2 inches tall. He took an early interest in public affairs, becoming a Justice of the Peace at the age of twenty-six, and was later elected to the Yorke Peninsula District Council, which he subsequently chaired for four years. In 1896 and 1899, he was elected to the House of Assembly as senior member for Yorke Peninsula and, following an electoral redistribution in 1902, he represented Wallaroo for a further three years. (Shannon’s uncle, David Shannon, had been a South Australian Member of the House of Assembly from 1858 to 1860.) Between 1899 and 1900, Shannon served on the royal commission on the Renmark and Murray River settlements. In its progress report of October 1899, he and Thomas Playford dissented, arguing against any large expansion of the scheme, and preferring an alternative proposal aimed at improving the fertility of the region’s soils. Speaking on the Electoral Bill in 1904, Shannon supported widening the franchise to include South Australia’s indigenous people. In 1904, he became chairman of the Liberal and Democratic Union. From 1902 to 1905, Shannon was mayor of Maitland, but in 1905 left Maitland and, together with Richard Butler, became a partner in the newly formed Adelaide stock and station agents, Butler, Shannon and Company. On moving to the Adelaide metropolitan area, Shannon maintained his interest in local government, becoming a member of the Unley City Council. Outside business and politics, Shannon was an active Freemason and a member of the Independent Order of Oddfellows. He was a member of the Congregational Church, holding the office of deacon at Maitland, and later attended the Manthorpe Memorial Church at Unley. Shannon was also a member of the Royal Agricultural and Horticultural Society and of the Stock Salesmen’s Association, and a director and chairman of the South Australian Farmers’ Co-operative Union. A long-serving board member of the Primary Producers’ Bank, he was an advocate of cooperation among the farming community, and a member of the voluntary wheat pool during the 1921–22 season. 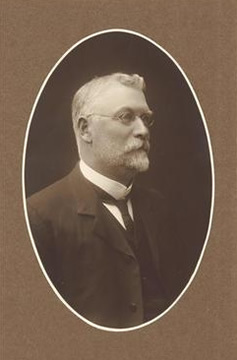 Shannon, a staunch supporter of the Liberal Union, was chosen by the South Australian Parliament on 31 July 1912 to fill the casual vacancy created by the death of the Labor Party senator, William Russell. Although defeated in the May 1913 general election, Shannon stood at the 1914 election as a Liberal candidate for the Senate. By a twist of fate, one of the Labor candidates, Senator Gregor McGregor, died after Senate nominations had closed. The Labor Party gave its support to Shannon, who was then duly elected. In view of his proven qualities as a debater, his knowledge of parliamentary procedure and his common sense, Shannon was well qualified for this position. During his time in the Senate, the issue at the forefront of his thinking was the development of Australia, especially the Northern Territory. In his first speech, during discussion of the Appropriation (Works and Buildings) Bill, he drew attention to the Commonwealth’s undertaking when the Northern Territory was ceded to it by South Australia, to build a north–south railway, and to the fact that no provision in the Bill had been made for it. He also emphasised the defence benefits of such a railway. Shannon raised this matter again in discussing the Port Augusta to Oodnadatta railway extension when he stressed that, in ceding the Northern Territory, South Australia had made a bad bargain with the Commonwealth and that the issue was part of a ‘solemn compact’, which the Commonwealth should honour. He said that the Commonwealth had purchased 350 000 000 acres for about one penny per acre from South Australia and agreed to pay for it by promissory notes ‘which were to be met by the carrying out of certain public works’, including the north–south railway. It was a topic to which he returned several times during his Senate career. Shannon’s background in farming and agriculture led to his raising during debate matters relevant to primary production. He emphasised that the key to solving Australia’s economic problems lay in increased production through ‘longer hours and more work’, expressing opposition to government price fixing. He was in favour of wheat and wool pools. He supported water conservation including the storage of water in good years, and was ahead of his time in favouring policies of afforestation. Speaking on defence issues in 1914, Shannon favoured Australia’s support for Britain. During debate on the Supply Bill (No. 1) 1918–19, he stated: ‘I am an Australian born, and I may be an Australian first, but I am a Britisher all the time’. In discussion on the Supply Bill (No. 3) 1916–17, he admitted that he had been opposed to conscription until realising that voluntary recruitment had failed, conscription being the only way to obtain reinforcements. It is interesting that by mid–1918 he was stating his opposition to peace by negotiation, favouring instead, a fight ‘to the end’. However, Shannon was no prophet, predicting ‘there will not be another great war for the next 100 years’. Shannon could not be described as a staunch advocate of states’ independence. Nevertheless, during debate on the Constitution Alteration (Trade and Commerce) Bill in December 1912, he expressed concern that the Commonwealth Parliament was dealing with matters which ‘should properly be left to the State Parliaments’; and when discussing the Income Tax Assessment Bill in September 1915, he said that he was against the Commonwealth encroaching on states’ rights. Perhaps more characteristic of Shannon’s position was his comment during the Port Augusta to Oodnadatta railway extension debate, that he was in the Senate to represent the interests of Australia, not only of South Australia. He believed the aim of Federation was that, as much as possible, Australians ‘should be one people’ and appealed to senators to ‘rise above this pettifogging parochialism . . . and to realise that we are Australians first’. During the Senate adjournment debate on 24 October 1919, Shannon, who had served as Chairman of Committees for the past two years, indicated that he would probably not be in the next Parliament. His apprehension was realised when the Liberal Union executive failed to re-endorse him for the 1919 election. In a letter to the Liberal Union president, he wrote that he had ‘been turned down through a misunderstanding, although I am naturally very disappointed, I am still a Nationalist . . .’. He implored the Nationalists ‘to stand together and save Australia’. Under the Constitution, Shannon remained a senator until 30 June 1920. On 13 August 1884, Shannon had married Grace Moody, daughter of Solomon Moody, a farmer of Kilkerran. There were two sons and a daughter of the marriage. Grace died in May 1890 and on 1 July 1891, Shannon married her sister, Alice Jane, by whom he had another son and daughter. (Howard, a son of the second marriage, was a member of the South Australian House of Assembly for thirty years.) Shannon died at his home in the Adelaide suburb of Norwood on 30 January 1926. Alice and the children of both marriages survived him. Shannon was described as a ‘kindly, courteous gentleman, possessing high ideals of public duty and the courage of his convictions throughout his long and valuable public career’; a man ‘who endeavoured to serve his fellow citizens to the best of his ability’. CPD, 2 October 1912, p. 3685. Advertiser (Adelaide), 1 February 1926, p. 11; Register (Adelaide), 1 February 1926, p. 8; J. J. Pascoe (ed. ), History of Adelaide and Vicinity, Hussey & Gillingham, Adelaide, 1901, pp. 363–364; Who’s Who in Adelaide South Australia1921–22, Associated Publishing Service, Adelaide, , p. 58; SAPP, Reports of the royal commission on Renmark and Murray River settlements 1899, 1900; SAPD, 10 November 1904, p. 937, 14 July 1904, p. 43; H. T. Burgess (ed. ), The Cyclopedia ofSouth Australia, vol. 1, 1907, Cyclopedia Company, Adelaide, pp. 233–234. CPD, 21 August 1912, pp. 2422–2426, 5 December 1912, pp. 6460–6461, 14 June 1918, pp. 6023–6024. CPD, 29 April 1915, pp. 2698–2706, 24 March 1920, pp. 679–684. CPD, 25 November 1914, pp. 962–963, 24 March 1920, p. 678, 14 June 1918, p. 6018, 14 December 1916, p. 9840, 14 June 1918, p. 6018, 29 April 1915, p. 2708. CPD, 11 December 1912, p. 6781, 2 September 1915, p. 6636, 5 December 1912, p. 6461, 14 December 1916, p. 9842, 29 April 1915, p. 2709. CPD, 24 October 1919, p. 13999; Advertiser (Adelaide), 10 December 1919, p. 12. Advertiser (Adelaide), 1 February 1926, p. 11; Register (Adelaide), 1 February 1926, p. 8. This biography was first published in The Biographical Dictionary of the Australian Senate, vol. 1, 1901-1929, Melbourne University Press, Carlton South, Vic., 2000, pp. 188-190.